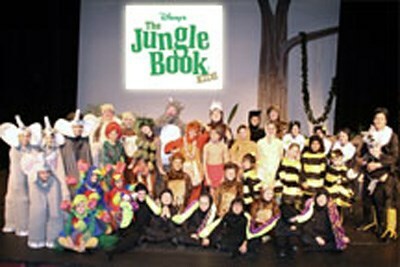 Storybook Theatre was established in 2007. 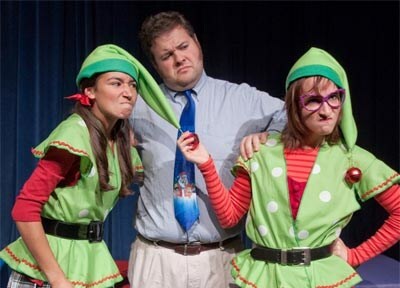 Storybook Theatre features adults and/or children performing shorter musicals for audiences of all ages. Produced by Jan Isaacson. While his friends are all caught up in the commercialism of the holiday season, Charlie Brown strives to re-find the true meaning of Christmas. From Linus' heartfelt recitation from the Gospel of Luke to the iconic Charlie Brown Christmas Tree, this production, laced with classic Vince Guaraldi Christmas Jazz selections, helps us all remember what Christmas is all about. 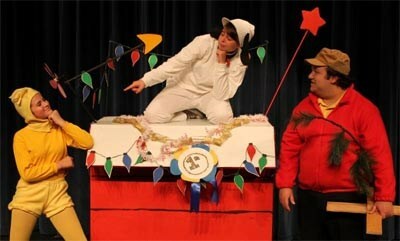 Based on A Charlie Brown Christmas by Charles M.Schulz. Junie B. Jones, First-Grader, is super-excited about the upcoming Holiday Sing-Along and Secret Santa gift exchange at her school. Too bad tattletale May keeps ruining all of Junie B. 's fun. So when Junie B. draws May's name for Secret Santa, she comes up with the perfect plan to teach her nemesis a lesson! But will the Christmas spirit of peace and goodwill interfere before she can give you-know-who what she deserves? A hilarious and endearing tale based on the best-selling JUNIE B. JONES book series by Barbara Park. So begins this delightful story of Madeline's Christmas! The day begins like any other day. Miss Clavel takes the twelve little girls on their morning walk. They go to the zoo and then back to school for their French history lesson. Suddenly disaster strikes when everyone gets the flu! Everyone that is, except for the ever-resilient Madeline. Saddened that they may not be able to go home for Christmas, the girls and Miss Clavel take to their beds. But on Christmas Eve, the adventure begins when there is a knock at the front door. Expecting to see Santa, Madeline meets the Rug Merchant who has brought twelve very special rugs. He reminds Madeline that Christmas is the time of miracles, and that these are not ordinary rugs! Soon everyone wakes up feeling healthy. The Rug Merchant shows them that they each have a magic carpet and that they can fly home to be with their families for Christmas! 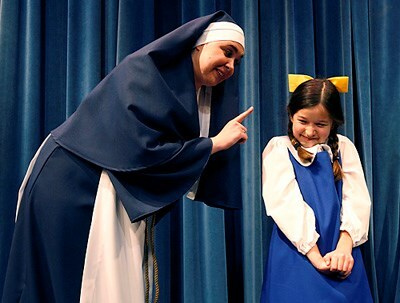 After saying goodbye to the girls, Miss Clavel finds a present that the girls left for her, befriends a little mouse, and counts her many blessings singing: "Everything Is Right Tonight." Before you know it, the girls fly back to the Old House and are together again on New Year's Eve. They thank Madeline for taking care of them a nd making their Christmas so special! Adapted for stage by Jennifer Kirkeby. Music by Shirley Mier. Directed by Jeni Price. Music Direction by Jenny Reuter. The jungle is jumpin' with a jazzy beat in Disney's The Jungle Book KIDS. Banished by the ferocious tiger, Shere Khan, a human boy named Mowgli and his panther friend, Bagheera, are on the run in the deepest parts of the jungle. On their journey, the two meet a sinister snake named Kaa, a herd of elephants and a giant bear named Baloo, who teaches them the swingin' musical rhythms of the jungle. After surviving a dangerous encounter with a band of monkeys led by King Louie, Mowgli and Bagheera are forced to run for their lives. When Shere Khan returns, our heroes must rally their fellow animals into battle and restore peace throughout the jungle. Specially adapted from Disney's beloved animated film and the works of Rudyard Kipling. Directed by Jeni Price. Vocal Direction by Luann Higgs. It’s Valentine’s Day and lonely Mr. Hatch has received a special package with a note saying "Somebody loves you" – but who could that somebody be? As Mr. Hatch helps out about town, wondering who his secret admirer could be, he and his neighbors come to know the importance of friendship and community – and Mr. Hatch has the biggest surprise of his life! Based on the Story by Award-Winning Author Eileen Spinelli. When the Rudolph the Red-Nosed Reindeer meets up with the dismayed and down-on-her-luck elf, Suzie McSneezer, he shares a glimpse of his past that is sure to inspire and bring holiday cheer to all. With his friends at the North Pole and Santa’s Toyshop – and the audience's special help – Rudolph shows Suzie that the magic of Christmas is inside each of us – and that when we believe and share with those around us, Christmas wishes come true.